Michael Jackson, along with Prince, are widely seen as the artists who broke MTV’s color barrier, and last week, his most famous music video, Thriller, played in IMAX 3D in cinemas across America, preceding Eli Roth’s The House with a Clock in Its Walls. The pair of films appropriately marked the beginning of 2018’s Halloween season. As I sat there and watched this beautiful digital remaster of the short film (and let me tell you, it is beautiful), I reflected on how this man’s art may have dramatically affected my life. So Michael Jackson, along with producer Quincy Jones, songwriter Rod Temperton and audio engineer Bruce Swedien, set out to make a pop album in this vision. The songs were a combination of pop, rock, dance and funk, and explored dark and more complex social themes. Famous guitarists like Steve Lukather of Toto and Eddie Van Halen contributed rhythm and guitar solos on tracks like Beat It. The group also embraced some more experimental methods of sound recording, including placing cinder blocks inside of the kick drum and having Michael sing through a six-foot-long cardboard tube for parts of Billie Jean. 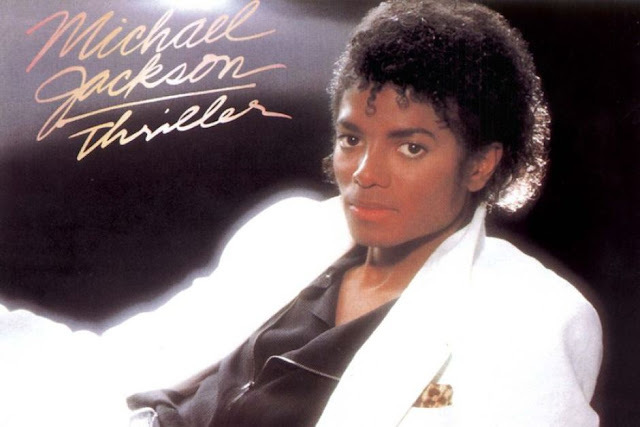 The result was an album that not only saved the record industry, as record sales had been down since the late 1970s, but also catapulted Michael Jackson to megastar status, the likes of which had not been seen since Elvis. Even though it looked as if MTV was set on being an exclusive club, Michael Jackson saw the creation of this new music television network as an opportunity to build on his vision of creating the perfect pop album. 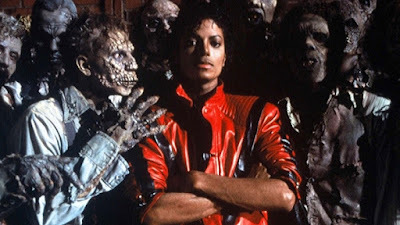 In the documentary The Making of Michael Jackson’s Thriller (1983), Jackson explains, “We’re trying to bring back the motion picture shorts, and I wanted Thriller and Beat It to be a stimulant for people to make better videos or short films.” The video for Beat It, written and directed by Bob Giraldi, was successful as a short film, winning several awards including the American Music Award for Favorite Pop/Rock Video and Favorite Soul Video. It was shot in the Skid Row neighborhood of Los Angeles, casting real gang members to give authenticity, and is widely recognized for its creativity. Building on this momentum, Jackson decided to increase the production value of Thriller, which at $500,000, became the most expensive music video ever made at the time. After seeing An American Werewolf in London, Michael decided director John Landis would be perfect in helping create the aesthetic he was looking for. Joining their team was choreographer Michael Peters, who also worked on Beat It, and makeup artist Rick Baker, who worked on films like The Exorcist, An American in London, Videodrome, King Kong (1976) and even Star Wars. What resulted was the most iconic music video of all time. 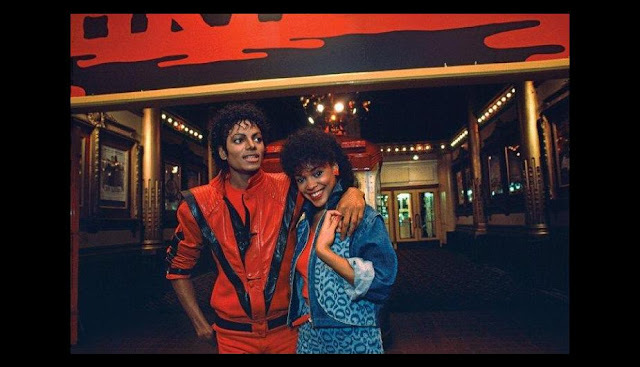 Thriller was MTV’s first video to have a world premiere and remained in heavy rotation on the channel, meaning that for the first time, a black artist’s work was getting priority on the network. Michael Jackson turned MTVs paradigm on its head, all because he was compelled to make his art the best it could be, and also, when it comes down to it, because Michael Jackson was a horror film fan who just wanted to turn into a monster and dance. In David Bowie’s interview, pressing Mark Goodman on the lack of black artists in the network’s rotation, Goodman says, “…we have to try and do what we think, not only New York and Los Angeles would appreciate, but also what Poughkeepsie or some town in the Midwest would appreciate, who would be scared to death by Prince…or a string of other black faces”, admitting to MTV’s programming based on predetermined color lines. Michel Jackson’s achievement in taking the first steps towards breaking this line was not only an achievement historically, but also for me, as three-year-old little girl living in a predominantly white Midwestern town, Thriller made a significant impact. My life had next to zero exposure to black culture, even though I lived only thirty miles from the city of Detroit. My father, who did not forbid me from interacting with the few black children in my neighborhood, made it clear that he definitely did not want me mixing with them. The clarity of this expectation came a few years later when, after he consented to buying me a new doll at the local store, I led him to where the black baby dolls were, pointed at one I wanted and received a very public and very loud scolding for making such a request. However, before his ideals had a chance to set in and shape my opinion of black people, particularly of black men, for years to come, I was exposed to this one artist’s work. 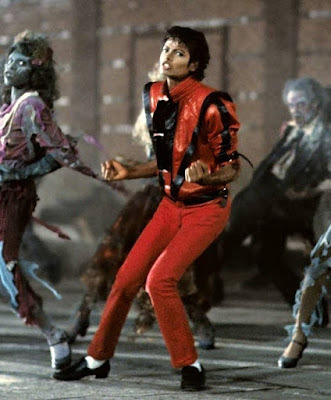 Michael Jackson’s Thriller was not just popular, but it had become an American staple. It was as common in households as milk and eggs. His newfound mega-stardom brought him into households like mine where I may not have been allowed to have black dolls, but I was allowed to have this man’s record album. Furthermore, Thriller was receiving heavy rotation on MTV, so I was regularly seeing this man’s face. Yes, it had monsters and dancing zombies, but it also had something else, that at three years old, was much more impactful. In the middle of this short film, there is a long tracking dolly shot with Michael and Ola Ray, within which as she walks, Michael is dancing and singing around her. This scene is one of my first exposures to a romantic encounter between a man and a woman, outside those between my parents, and it is a healthy one, filled with what we refer to in our modern political climate as non-toxic masculinity. This masculinity was much less toxic than that of many males in my real life, and the face of that was of a black man. The kind of man, that a few years later, society would try to tell me is dangerous and scary. Now, I understand that Michael Jackson in later years would be viewed as a very controversial figure. However, in 1983, the man and entertainer we knew, had yet to become such a figure. I am not going to sit here and claim that Michael Jackson and his Thriller album magically cured me of all racist or bigoted thoughts for life. Making such a claim would just be a lie. What I am saying is that exposure to this man’s art, or exposure to black art, at a very young age taught me how to question societal norms, even when those norms are being reinforced by people in my life that I am supposed to trust. The image of black America that was being sold to me by my father and other white authority figures differed greatly from what this one exposure to black art was showing me. I would argue that I had no choice but to question the differences. There is no denying the legacy of Michael Jackson’s Thriller. It broke record after record in the audio/visual world. However, I would argue that the real legacy of Michael Jackson’s art is that it is a testament to how black art really matters. I say this knowing that black artists already know their art matters and they do not need my validation. What I mean is that this is why black art matters to me. Because without it, I may have ended up a completely different person.